Already this year, we have been treated to some spectacular offerings from a vast array of musicians hailing from far-flung places across the globe. Looking back, there are many gems that left a lasting impression, and we are taking a moment to reflect on those releases which have recently gone out into the world, as we now give them the time and consideration they deserve. As always, we are spoilt for choice with a broad community of makers producing high quality work that is often quietly startling. Here we will be looking back on three albums released earlier this year, each beautiful and distinctive in its own right, but as always pulling together those common threads. One trend that continues to hold on into the new year is our current obsession over soft, delicate old piano with muted felt-tinged timbres, and the creaks and tics of the piano action that are revealed in high detail with this quieter aesthetic. Undoubtedly, there is an intimacy to this sound that works with so many of the colours and moods that the piano conjures up and it indeed adds texture and interest, however at times this is at the cost of dynamic interest. While the albums we are considering here have moments where this effect is used to great advantage, it can often run the risk of diluting the effect with overuse, much like playing through an entire suite in pianissimo. In saying that, softer sounds are sometimes exactly what best serves the spirit of a composition. This is true for Philip Daniel who is able to wring out a broad range of musical outcomes on his latest offering ‘Between Us, Chapter 1.’ Using a 100-year old Steinway grand piano with felt between the hammers and the strings, the composer recorded the piano for this album in one take, yielding an end result that is excitingly spontaneous that and is anything but flaccid. The way Daniel uses quieter tones to draw in the listener relies heavily on the compositions themselves, rather than letting the dynamics and timbre do all the work. The melodies and textures themselves already have so much to say that the quiet piano style becomes a device that focuses attention. This collection of songs it seems is but one half of a greater collection: a story told in two chapters. The first six of these tracks appearing on this release are haunting and delicate, with standout track ‘Between Us’ getting under the skin with visceral string tremolo, like the murmuring inner monologue of an uneasy mind and a fluttering heart. With a free-wheeling piano melody that contrasts, this track is bittersweet with beautiful decoration in its grace notes and runs. ‘Selfoss’ is lyrical, with solo strings bowed with slight hesitation and delicacy, while opener ‘Minor Ventures’ is fluid and spontaneous, with a wonderful dialogue between piano and strings. Next, John Hayes wholly commits to this stripped back feel with his full-length release spanning over twelve tracks, titled ‘By The Woods.’ Absorbed in a single sitting, the stark delicacy of the piano sounds he works with do create something of a trance state, as the mind burrows in, parsing the sonic landscape for detail and nuance. If anything, these tracks feel like orphaned film scores, crying out for a visual to give them a sense of form. By themselves, they are perhaps a little too stable, with no great surprises, though they are passionate snapshots of a broad range of emotional states. Standout track ‘Here’ sounds like the tune of a lonely wanderer and Hayes weaves a sonic narrative through his melodic storytelling that is quite compelling, while ‘Towne’ contrasts with its hazy ripples: a brooding, cumulative effect building to sensory overload. Tracks such as ‘Given’ and ‘Marin’ take us through the gamut of typical piano evocations with their melancholic, bittersweet sensibility, while the rhythmic feel of ‘Ascend’ and opener ‘Another Word for Happy’ provide counterpoint with a whimsical, carefree spirit and soft, sunny melodies. Finally, our third album ‘Nome’ provides a welcome relief to the pallid tones of old, dying pianos. Composer Jacob Pavek invites listeners to respond and create their own world within these sonic offerings as responses to feelings and memories. From the very first moment of this album we are greeted with full, pounding chords from a bright, sonorous piano. There is a richness in the harmonics that gently bleeds between each wave of sound, with a lush density of sound so thick that one barely notices the synth and strings swelling up underneath until the piano drops away. There is a real slick sense of professionalism in the end product, with a well honed sound palette and a strong ear for producing and arranging. While it is the craft with which Pavek constructs his work that makes a strong first impression, it is certainly not skin deep: looking more closely, the compositions themselves are beautifully wrought. The title track is a wonderfully sensitive performance on solo piano, tinged with regret, while ‘Love/Marriage’ makes use of a seductive chord progression to great effect with its beautiful turns of chromaticism. ‘Crocus’ begins with a murky sustained piano melody, as notes bleed together with a gorgeously arranged string section that is weathered, expressive, and with a real sense of spirit and soul. The final track ‘Pulse’ also leaves a lasting impression and begs for further exploration to understand its layers. There is a dense complexity to the sensations embodied in these sounds, like mixed emotions. Inevitably, the constant flow of quality releases will always overshadow our hunger for new music, no matter how insatiable our appetites. It is startling the myriad musical possibilities that emerge from even a single genre or musical community as we see here with three very different albums, unified with a common love for piano. What a thrilling idea to think that musicians and composers continue to engage with this centuries old instrument, often bringing it into context with synths and modern production, or just as often, exploring the possibilities of the instrument itself, through prepared piano techniques, and by revisiting older instruments whose wisdom is to be revered and celebrated. 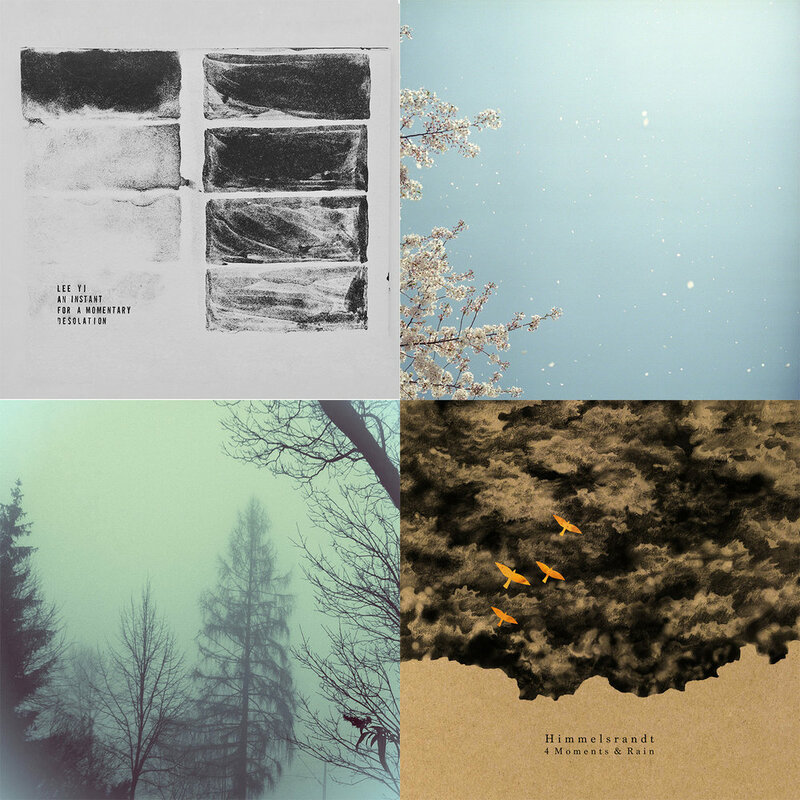 Ranging from both technical and intricate to highly emotional, our second recommendations article showcases three different artists who recently released works that we here at Piano & Coffee found to be especially noteworthy. Éna Brennan is the multi-instrumentalist and composer who, through her recent solo-project Dowry, just released her debut single In É – an intensely emotional track with intricate movement and intriguing switches between major and minor. Brennan is highly educated in several forms of music and art, and has been collaborating with an array of different performers, something that shows in the professionalism of her songwriting – even her improvised beginnings have a clear structure to them, showing how Brennan puts thought into every part of the process. Brennan’s music is a beautiful mix of Irish traditional and minimalist contemporary music, and In É is an absolutely glorious track – a long, downward hill, picking up pace in what seems like an infinity, building into a whirlwind of sound and intrigue. We can only agree with what others have already noted – Éna Brennan is someone to keep an eye on in the future. Back in the beginning of December, Behind Clouds released a two-track EP called Lost In the Layers of Clouds. The title track is dreamily divine – an ode to the soft, the smooth and the kind. Sorrow lingers just beneath the surface, not hiding… but nesting. The gentle piano plays around without stress, finding new paths and rhythms. From the Ones Looking Down at Me from Above is a heavier track, yet still so soft, with gentle fluttering and repetitive melody. A new layer is added with the chugging percussion, making it an immensely pleasant background track with its mild but unwavering ambience. We follow the theme of sorrow with our last recommendation being a funeral piece by the Canadian pianist and composer Jean-Michel Blais, released in the beginning of February. His friend’s mother passed away recently, and in that tragedy, life was brought to the hauntingly beautiful Roses. Following Blais’ previous works, the track expands through several different genres and sensations, portraying perfectly the intricacy of human life. The track opens with an immediate sense of sorrow, hesitantly progressing – grand in its minimalism. Ever moving, we are introduced to a delicate melody, tinged with hope even in the hopeless – the track moves, both without and within me, on such a poignant level. Terrifyingly real, Roses hides a life story in its movements, as chapter after chapter unfolds, revealing new sounds and new sides; subtle strings turn dramatic in one corner of the piece, and then the track settles softly on a gentle ending coming too fast, too soon. Blais manages to pour the entirety of a life into a single piece, leaving me breathless and frankly petrified – yet hopeful to the fact that we can still find so much beauty in even the most tragic of events. With so much enthralling art being produced and showcased every day, keeping up with each release is a full-time job, and to allow every piece of art the space it deserves is unimaginable. We still want to do our best to offer you a wide range of art to explore, and that’s why we here at Piano & Coffee Co. are launching a recurring recommendation article, where we will touch on a few releases from the previous month that we feel deserve your attention. This first recommendation article focuses on ambient/electronic music, with artists from countries such as Germany to Japan, via labels like Home Normal and Ghent based Dauw. On October 16th, Lee Yi released his haunting album An instant for a momentary desolation, via Rottenman Editions, and the four tracks seek to portray the heartbreak of watching a loved space be consumed and corrupted by nature and the unrelenting cruelty it has the power to unleash. Long, faraway echoes of dread paint a terrifying picture of a world in turmoil, and it seems almost like the faint memory of a broken cause – like the empty, troubled field of a war long since lost, it spreads out before you, invoking a curiosity just strong enough that you defy the voice in your head telling you to turn around. The album is clever and beautiful, and definitely worth a listen. Another phenomenal album released in the middle of October is Unsung Memories, by German artist Polaroid Notes. Released via UK based label Whitelabrecs, the album moves like a film score, with grand movement and cinematic soundscapes, and is just waiting to be picked up by a filmmaker. Empty streets painted by melancholy or rough, cold desert nights – if you close your eyes you are there, for a moment, engulfed in someone else’s memories. The track that to me stands out the most is the surprisingly optimistic Take Care of What You Love, but even that is tinged by instances of corruption, an apparent theme to the mesmerizing album. As the cold of winter steadily moves upon me, what better way to reignite the hope for warmer days, than to listen to Ghost And Tape’s new release – the astonishing album Vár (Spring), released through Home Normal. Another ambient tribute to nature, the album tells tales of new awakenings, of soft winds and melting snow – the delicate, heartfelt movements show just how much care and hard work Heine Christensen puts into his art. Vár is like a comforter, wrapping itself around me as the snow falls outside, quietly reassuring me that spring will come again. After works that focus more heavily on electronic ambience, Himmelsrandt’s latest release brings a welcome change in nuance, with his 4 Moments & Rain, released via Unperceived Records. The piano and the strings fight for the main role, adding grandiosity to the sound, and with protruding melodies, the album is a comfortable change of pace. Just familiar enough to relax you, but never losing its intrigue, this album is a must-listen, and the breathtaking Drops, a track that could have easily been taken straight out of some dark thriller/drama, will likely be playing on repeat in my flat for the next couple of weeks. Last on our first recommendation list, we have Norihito Suda’s gorgeously experimental album Sunshine, released via label Dauw at the end of September – a happy, youthful album with warmth trickling slowly downwards, and sounds of nature’s daily routine setting the tone. Sunshine is entirely relaxing in its minimalism and seems to portray a blissful life in the seclusion of some hidden place, far from modern life’s stressful duties. Be sure to check out these late autumn releases to find your new favorite, and stay tuned for next month’s recommendations!